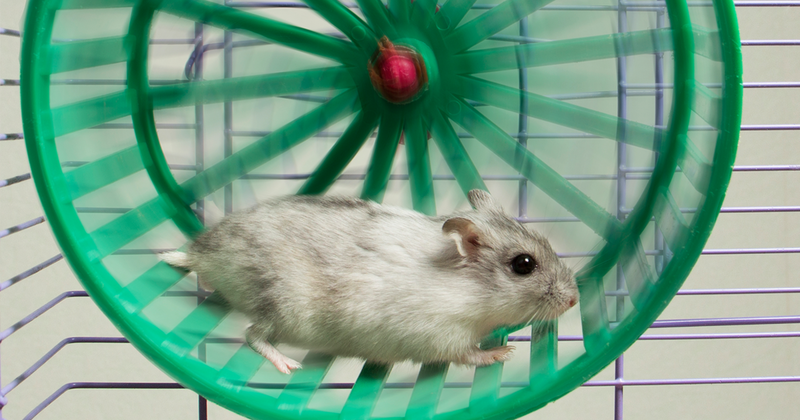 Ever feel like a hamster on one of those little wheels, running furiously but going nowhere? You try to focus on work but you can’t help thinking about what’s for supper or when to squeeze in a workout or who’s going to watch the kids Saturday night. Your mind always seems to be racing. Well, the authors of One Second Ahead would like to suggest that your participation in drama and chaos is strictly optional. You’re not obligated to feel overwhelmed, powerless and distracted. Rasmus Hougaard, with Jaqueline Carter and Gillian Coutts, believe that properly training your mind using specific techniques will boost your productivity and peace of mind. getAbstract recently connected with the authors for a quick Q&A. What is “mindfulness” and why is it vital in a corporate environment? In simple terms, mindfulness is a set of tools and techniques designed to enhance mental effectiveness. Specifically, mindfulness training techniques skillfully applied to the workplace enhance focus, creativity, communication, team work and a sense of well-being. These are vital skills for team success and organizational results. Why is mindfulness an urgent concern for any businessperson? Economic indicators suggest that we are facing a productivity crisis. Although people are spending more time at work, collectively we are getting less done. We are living in an age of “busyness” where we are doing lots of things but not necessarily focusing enough on the things that generate the best results. If we want to reverse this trend individually and collectively, we must find ways to be more focused and effective at work. Is it really true that our minds wander almost half of our waking hours? Yes, according to scientific research. This means that on average half the time we are at work, we are not fully present with what we are doing. Mindfulness training builds our mental muscle so we can better manage our wandering mind and be more focused on the task at hand. For example, imagine how more productive meetings would be if everyone was paying attention? What is “action addiction” and how can we fix it? Action addition is the urge to act without a clear sense of priorities. Our brain releases dopamine when we accomplish a task regardless of whether that task has value. Action addition makes us reactive rather than proactive. It makes us run really fast, but without a clear sense of direction. The root cause of action addiction is an untrained mind – and a well-trained mind is the solution. What is the foundation for your research? The tools and techniques in this book are based on over 10 years of development working with organizations including Accenture, Microsoft, Nike, American Express, Sony and many more. It is grounded in third-party research from leading institutions including Cambridge University, Stockholm University, Copenhagen Business School, Singapore Management University and others. It is also based on first-hand experience with individuals and organizations that have benefited from getting One Second Ahead. Can you offer three easy ways to practice daily mindfulness? First, we highly recommend getting an app or finding a recording to guide you in your daily training. Second, we suggest selecting a specific time each day and making a commitment to do at least 10 minutes of mindfulness training. Third, we strongly encourage you to find a buddy, form a group, or enlist some of your colleagues to do it with you. Like anything, it is always easier to form a new habit when you have a plan, make a commitment and have support from others. What are the most common barriers to mindfulness? People often think mindfulness is something flakey or spiritual and do not realize its value in terms of performance and well-being. Second, people may recognize its value but have trouble committing the time to practice every day. This is why we strongly recommend finding a buddy or forming a group to help provide positive social support. Third, people may try it and either feel that it is not something for them or they give up because they don’t see immediate benefit. This is why we like to use the analogy of going to a gym. The first time you lift a heavy weight you might drop it and won’t see immediate results. Like any skill, mindfulness requires training and time to see results. A special thanks to Fortier Public Relations for this collaboration!